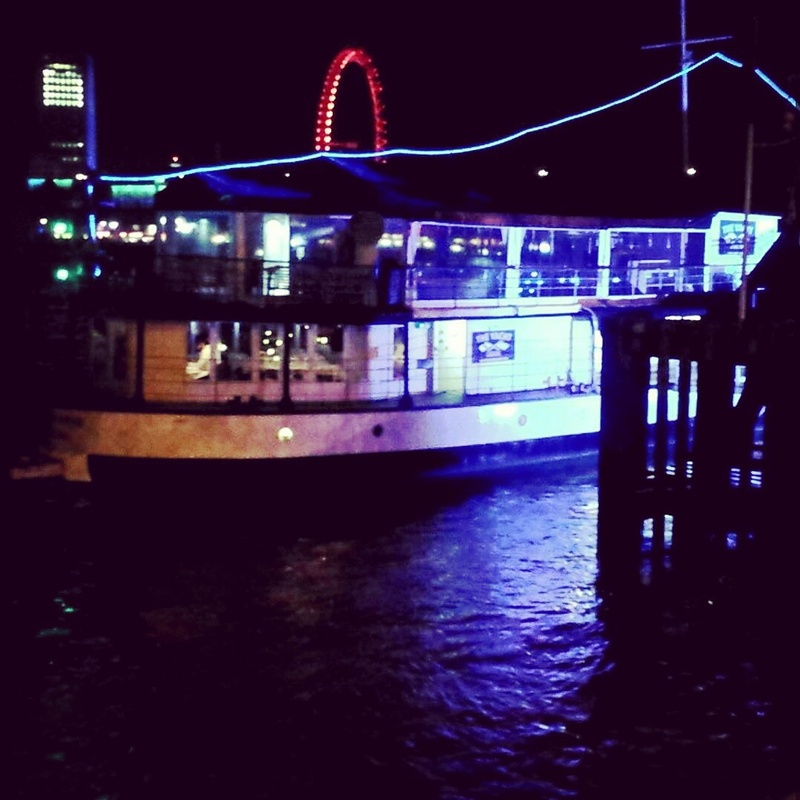 The Yacht London is situated on the beautiful riverside of Temple Pier, which serves up British food. The interior is simplistic and clean. 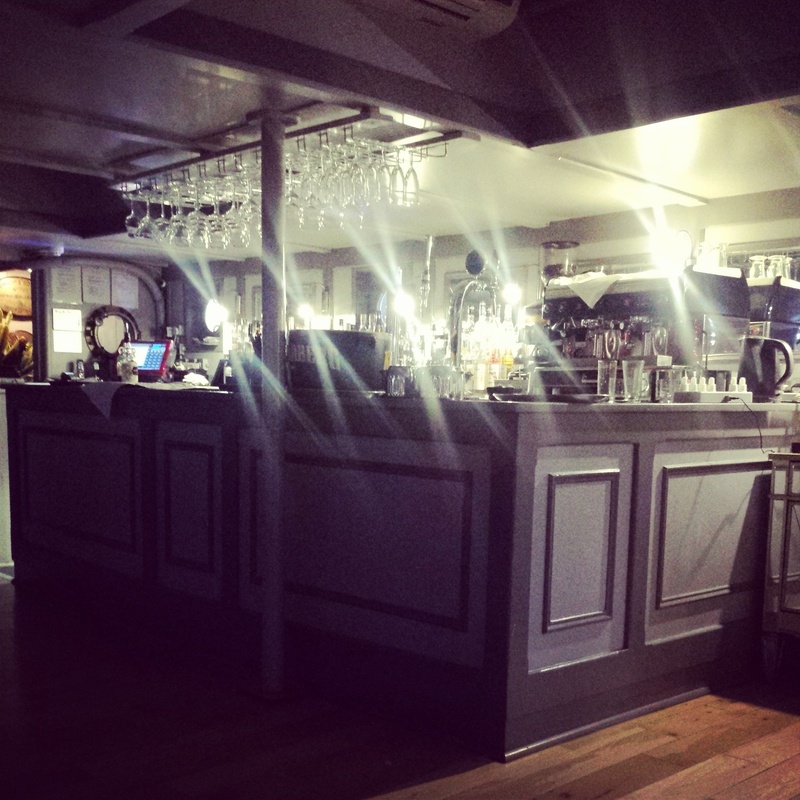 It is the perfect setting for a romantic evening with your loved one or even a gathering with friends of family. 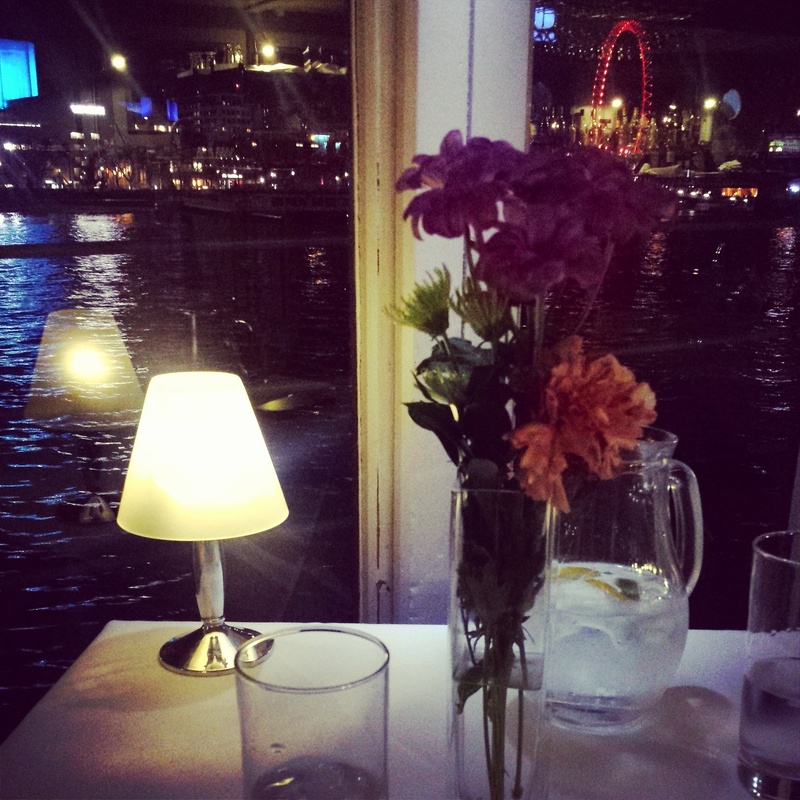 The view is just incredible and looks best at night – incase you did not know, South Bank and the London Eye have magical lighting at night. The atomsphere was calm with pleasant music during dining. In regards to the food menu, these change depending on the day; there is a Monday – Saturday menu and a Sunday menu. We dined on a Sunday and unfortunately for anyone who is a vegeterian or pesceterian like myself – this limits your choice. 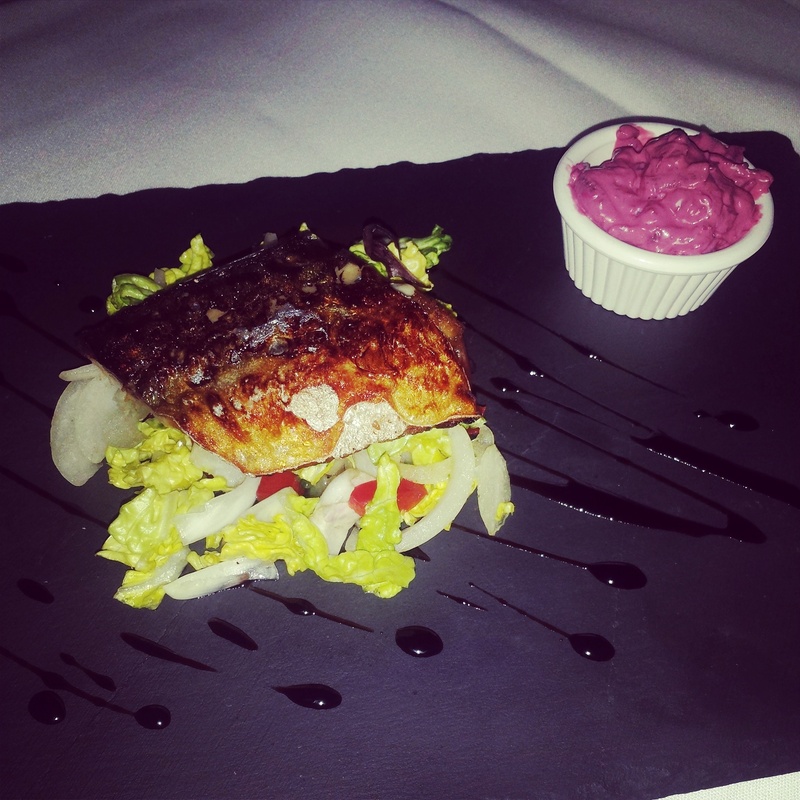 For starters we had pan-fried mackerel on a bed of house salad and “slaw” and mushroom risotto with a dollop Ricotta. Firstly, I know the portion size looks very small – however this will fill you up a little. Unfortunately the bones were not removed from the small piece of salty mackerel and would of been reasonably better if it was a bigger piece; the mackerel was cooked well and was not too dry. The house salad consisted of a simple combination of ingredients: tomato, red pepper, cos lettuce and white onion. The accompanying “slaw” tasted average and bitter; the combination worked well together in terms of taste – however the mackerel was a let down. 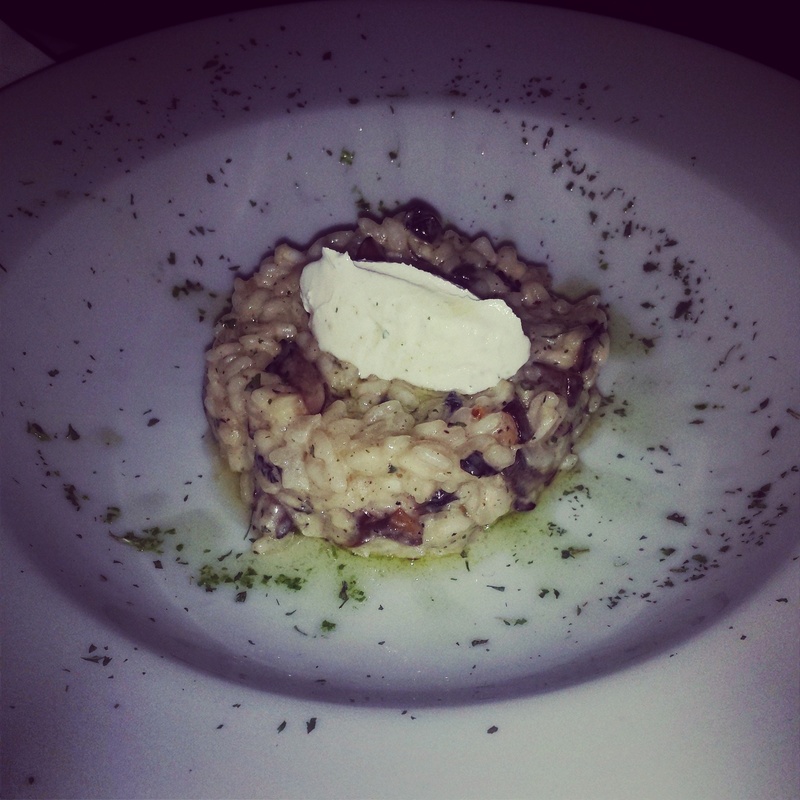 The mushroom risotto tasted rich; cheese and garlic were prominent in the dish. The portion size was reasonable and tasted delicious. Our mains was the mushroom and halloumi wellington with olive oil roasted potatoes and vegetables, which was topped off with vegetarian gravy, with I believe with what was supposed to be a yorkshire pudding. The food was served warm and and had lack of vegetarian gravy. I love yorkshire pudding and a good old roast and unfortunately this vegeterian roast did not deliver on taste for me; the yorkshire pudding was too soft and the gravy lacked flavour. 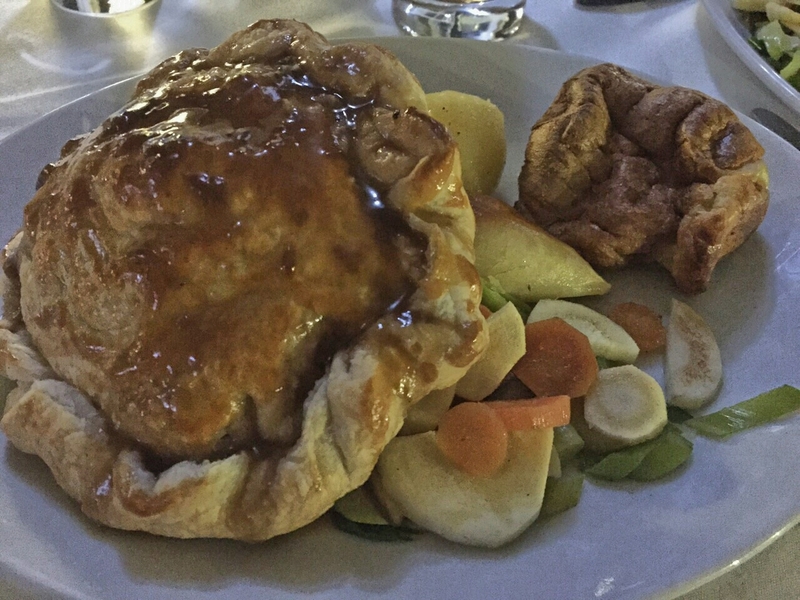 The combination of mushroom and halloumi is a match made in heaven – however the wellington lacked flavour and the pastry was very heavy and thick. The vegetables still had a lot of crunch as they were not fully cooked through. Let us know your thoughts about The Yacht London. Tweet Us @LondonKiLadki. Photo Source: London Ki Ladki.